Having anchored off Decros Point, Matagorda Peninsula, Texas, the night before, the 16th Ohio, on board the steamer St. Mary, huddled in their bunks to stay warm and ride out the fierce storm that had been tossing the ship for for nearly two days. 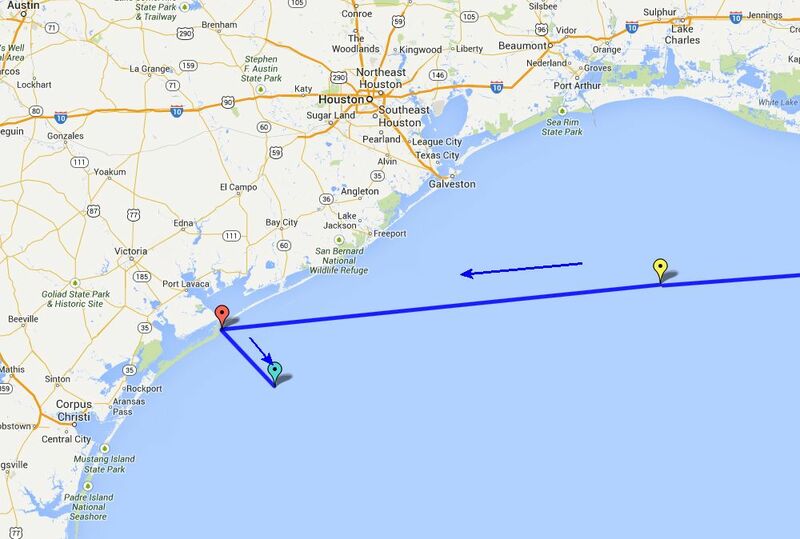 Based on various reports by the soldiers, it is believed the St. Mary was blown out to sea, dragging her anchor about 32 miles, until about 1:00am (November 29) when it was able to raise anchor and start back to the Texas coast. The 28th was a rough day. The wild waves, crested with white caps, completely environed us and extended to the horizon. The good ship, buffered by the violent sea, rolled and plunged, sometimes careening so that a wheel would be almost entirely out of water, and coils of rope and other material on deck would slide. One minute the vessel would be reared up with the bowsprit high in air, the next the stern would be lifted almost clear of the surface. Frequently, as the big waves struck us, the salt spray went over the decks and sprinkled the soldiers that were hanging on to anything immovable to keep right end up. Wind blowing very hard and ship rolling awfully. Very cold - keep in bed all day to keep warm. Ship at anchor all day. Night. Wind still rising coming from the North West - a regular Nor'wester. Modern day map showing the approximate route of the 16th Ohio on its voyage from Algiers, Louisiana, down the Mississippi River across the Gulf of Mexico, and west to the Texas coast off Matagorda Peninsula. This route is approximated based on general points and observations available from diaries of soldiers on board the St. Mary during this time. 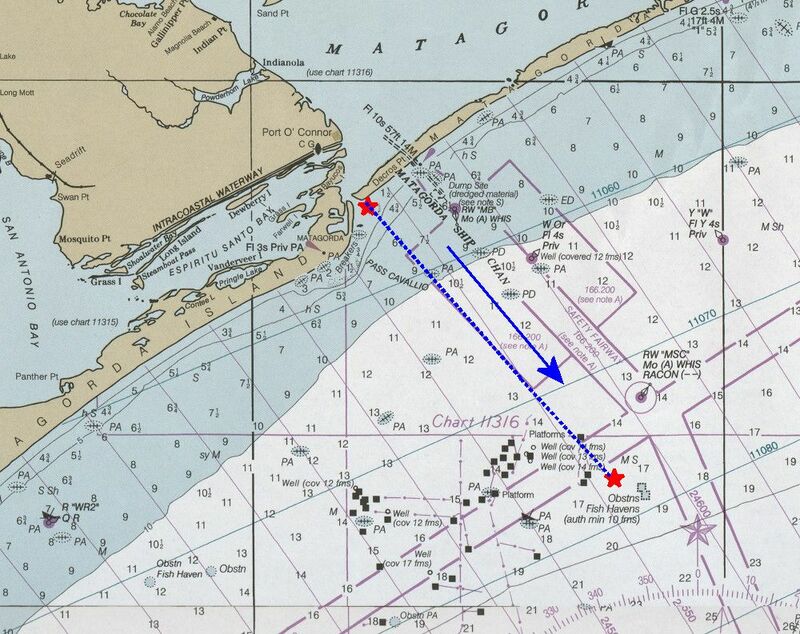 Red pin - Approximate location of the 16th Ohio late on November 27 and during the 28, 1863, anchored off Decros Point, Matagorda Peninsula, Texas, during a storm. Aqua pin - Approximate location of the 16th Ohio about 1:00am on November 29, after being blown out to sea by the storm during the day, November 28, 1863.